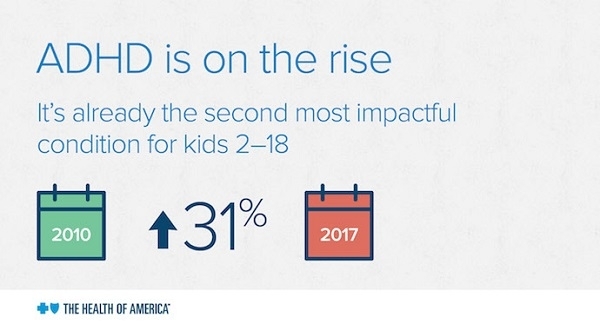 According to a new Health of America report released by the Blue Cross Blue Shield Association (BCBSA), ADHD diagnosis rates have increased 31 percent over the last eight years (2010-2017), impacting more than 2.4 million American children in 2017, alone. 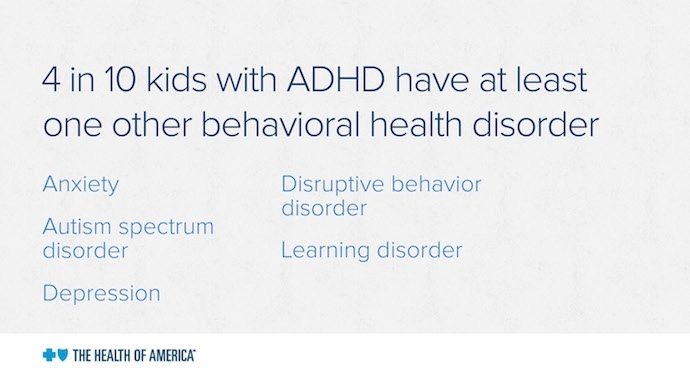 ADHD can be treated through a variety of medications, behavioral therapy, or a combination of the two. Given the variety of treatment options available, parents should work closely with health care providers, therapists and teachers to identify and maintain a treatment plan that will best address their child’s needs. 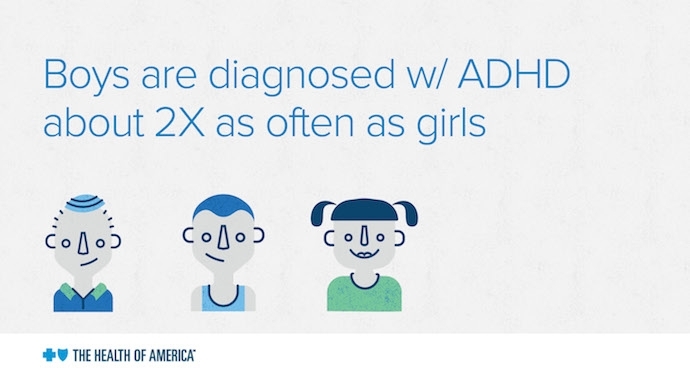 As ADHD diagnosis rates continue to rise, Regence is working to connect our members to more effective diagnosis tools and treatment options. This starts with the online medication comparison service, MedSavvy****. MedSavvy’s team of licensed pharmacists keeps members in the know about the effectiveness, safety and cost of their medications. Safety and cost-saving alerts allow members to conveniently compare ADHD medication options side-by-side, offering the potential to discover lower-cost, equally effective alternative treatments. Members can also connect with MedSavvy pharmacists for advice and support to ensure they are making the most informed, cost-effective health decisions for themselves and their families. In addition, Regence makes it easy for children with ADHD to access behavioral therapy, without even setting foot in the doctor’s office. A more convenient and cost-effective option, telehealth can be used to treat many conditions affecting the mind and body – beyond coughs and colds. Increasingly, members are turning to telehealth for behavioral health treatment, citing its convenience, cost savings and privacy. For Regence members, mental health concerns (including ADHD, depression and anxiety) tops the list of telehealth use cases – nearly double that of coughs and influenza – for those under the age of 18. Sign in to learn more about your telehealth benefits as a Regence member. **** MedSavvy is a separate and independent company that provides prescription comparison services; it does not provide Blue Cross and Blue Shield products or services and is solely responsible for its products or services.